Niagara Falls attractions are among the best and most visited tourist attractions in Canada, great for kids, families and couples, with lots of opportunity for entertainment and fun. Niagara waterfalls are among the top three tourist attractions in Canada together with Toronto and Vancouver that are two of the top ten cities in the world. Niagara is also a premier destination in New York state and US. 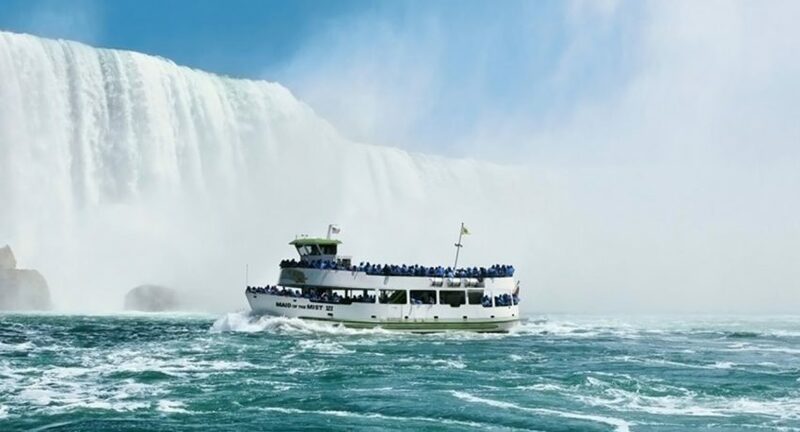 We have made an exciting list of the life thrilling and the most interesting Niagara Falls attractions, but it is up to you what activities or sightseeing tours you will choose. If you prefer organized tours, many quality hotels are offering money saving vacation getaways, hotel deals and discounts, coupons, where these Niagara Falls attractions are inevitable part of any tour. Niagara Falls is one of the World’s Natural Wonder. Niagara waterfalls are the biggest tourist attraction here. This spectacle draws millions of visitors every year. People are coming from all over the world just to be in touch with this phenomenon. Canadian side is the place where you want to be. It gives you more deals, things to do, Fallsview hotel rooms and restaurants, fun and much better view of the waterfalls then American side. 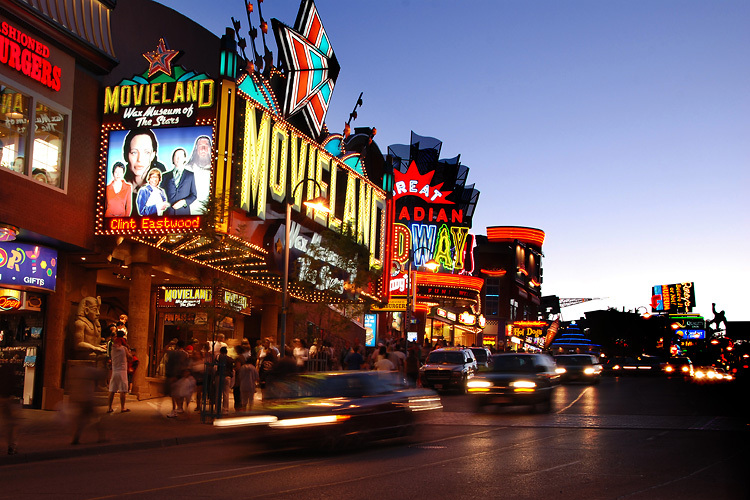 Clifton Hill attractions and entertainment are there, two casinos, numerous motels, cozy bed and breakfasts… simply more things to do. Note: Whatever hotel you choose, don’t forget to ask hotel staff about attraction coupons. Coupons with discounts are also available on many gas stations and info centers along the HWY and within the city. Did we tell you about “the prettiest town in Ontario”, Niagara-on-the-Lake, or free visits to Niagara’s natural attractions and its lovely parks? Did you hear about Escarpment, one of only 15 biosphere reserves in Canada and recognized by UNESCO? Read further, Escarpment is a great place for outdoor activities. Do you know that there are more than forty scenic golf courses in Niagara region? Many golf tours are also available through your vacation packages. After leaving your hotel, the next step will be visiting the waterfalls (Horseshoe waterfall) and Table Rock Center. You can spend hours there; enjoying the scenery and sound of the thunder, mist in the air and a view of the colorful rainbow somewhere above the Gorge. Capturing this moment with tons of pictures is a MUST. Since you are there, enter Table Rock Center and start this incredible Niagara discovery visiting Journey Behind the Falls. These are the places where you can expand your knowledge and collect some great facts about Niagara and learn more about its history. Among top Ontario attractions, this Journey is one of the few Niagara Falls attractions that will take you so close to the waterfall, almost in touch. But instead, so much mist will come your way. If you are not protected with the hoods, you will be soaked with water. See how it looks, here. There is a life experience down there. In order to help you, here are details of our Journey behind the Falls experience. Maid of the Mist boat ride belongs to one of the most visited tourist attractions in Niagara Falls and boat rides. You will admire the American Falls from the river level, and the excitement will skyrocket while approaching the Horseshoe waterfall. See our Niagara photos here. The Maid of the Mist boat will stop near the spot where the waterfall is crashing into the bedrock. These amazing 15 minutes will look like an eternity for you. What to expect, on Maid of the Mist boat tour, see here. AeroCar or Spanish Car is one of the shortest, but exciting Niagara Falls attractions, what an incredible view. It is not that mighty waterfalls are the main sight here. It is the place where you can see very rare natural episode. Visiting this attraction you will be able to see a “reversal phenomenon”. Mother Nature made a famous Whirlpool, which can be seen from the shore. But being just above it… details about Spanish Aero Car experience. 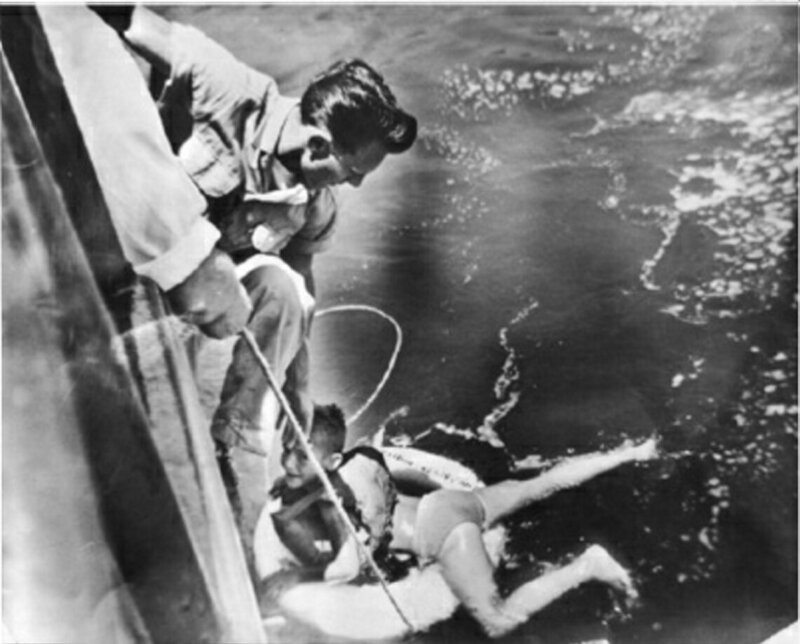 Marineland is, opposite of the AeroCar, the tourist attraction, where you can spend majority of the day. It is a waterpark, where you can be in touch with animals, dolphins, Orca whales… so many things to do. What do you get if you combine speed, a river and niagara falls? 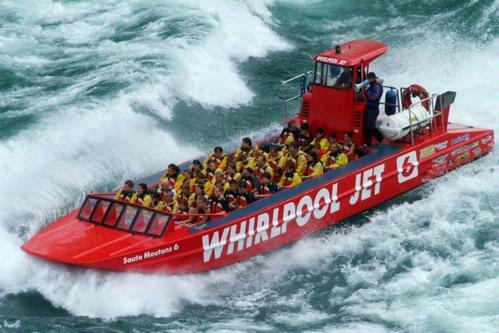 Well, all these combined into one of few Niagara Falls attractions charged with adrenaline, Jet Boat tour. This great attraction combines the adventure, stunning view, lots of power, speed and amazing experience. 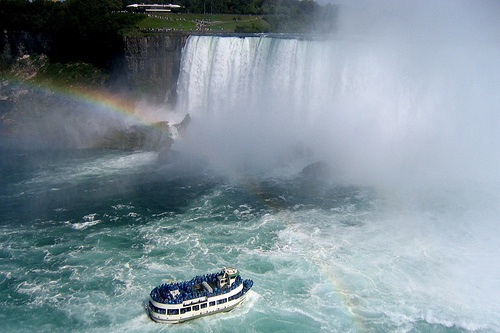 The above Niagra Falls attractions are probably among the top Ontario attractions that we highly recommend. But this is not the end of what this attractive tourist place has to offer. There are many more outstanding, natural and man-made, small and big tourist attractions and things to do that we didn’t highlight here as the best one, but definitely worth exploring. Read some of them below.